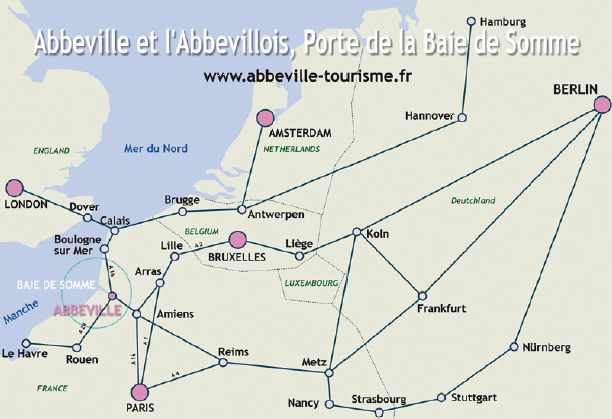 Only in Abbeville: flying over the Baie de Somme by plane or microlight, everyday under reservation. Abbeville: nautical stopping place PK 141 with locks, 200m from the station, next door to the city centre, a green setting welcomes sailors and walkers. Mooring on the right bank upriver from the lock.